As we move quickly towards the end of the year we are still hard at work on our highly anticipated app for iOS and Android! We'll have more news on that as we get closer to launch. 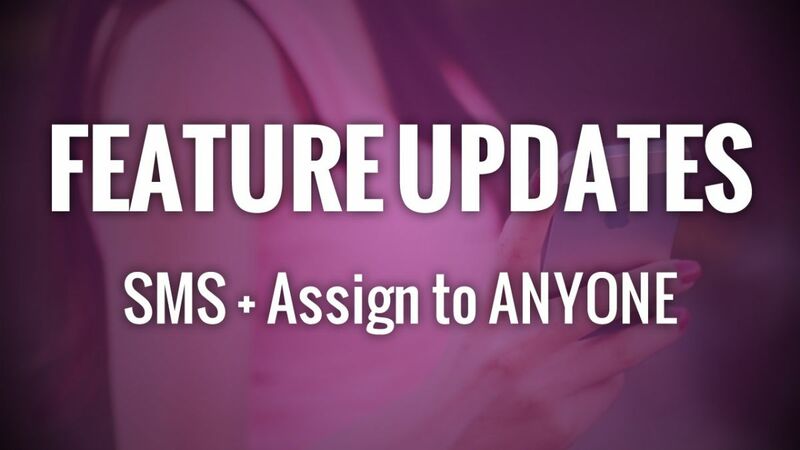 In the meantime, today's new features include SMS (texting), which is another highly requested feature. Read on below for more info on that and the other new features. SMS is now available for everyone! You can setup an SMS number on the Communication > Communication Options page to start using SMS. 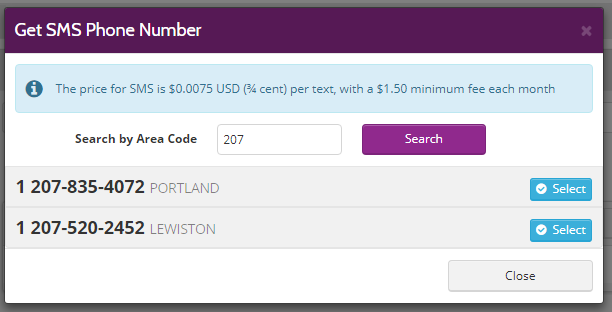 Search by area code to find a phone number. Outside of US and Canada you can use your own number to send SMS so just enter it into the Communication Options under SMS Phone Number. Once SMS is enabled you will be able to set which events trigger text messages using the other tabs on the Communication Options page (Office, Sitters and Clients). Staff will have a Communication Preference setting on their My Account page where they can decide whether they receive "Both Email and SMS" (the default), "Email Preferred" or "SMS Preferred". Clients have the same setting on their My Info page (which you can change in the Client Profile). You can now assign visits to "ANYONE" which will result in all sitters being notified of the assignment. They will be visible on everyone's My Schedule page until someone uses the "Accept" button to accept them. You can now edit your Services on the Petcare > Services & Times > Base Services page and choose which Animals can be serviced for each. When clients are requesting visits they will not be able to see services that don't match their pets. This will not limit the Master Schedule in any way. If you have the new interface turned on for your site individual users can no longer opt-out and use the old interface. The reason for this is the old interface is no longer receiving non-critical bug updates. Excellent software for my Professional Pet Business. Not only the interface can be personalised to my website but it is also pleasant, simple to use (also for the client), detailed and customisable. As a very demanding pet professional, I must say that I'm happy to have found this solution!